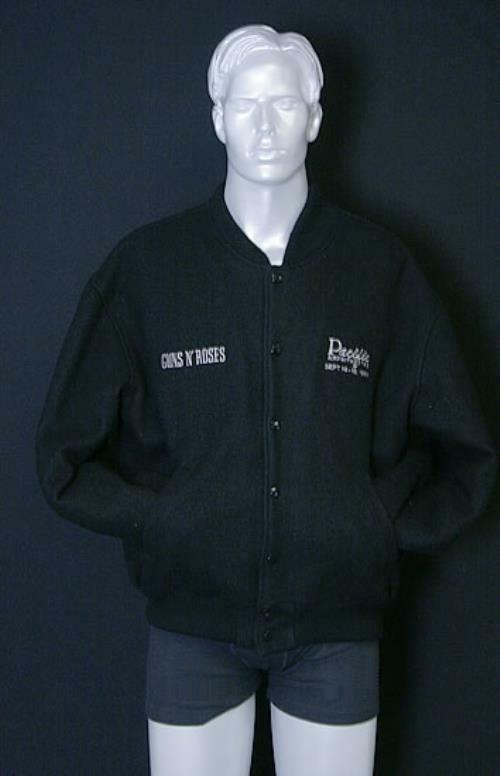 AEROSMITH With GUNS N ROSES Pacific Amphitheatre Sept 14-15, 1988 (Official US crew only extra large sized fully lined black baseball style jacket with popper fastening front, two slash front pockets with elasticated cuff & waist, this was issued to crew personnel only & was never available to buy as merchandise with only a handful produced. This was worn by a crew member at the two shows on the Aerosmith tour supporting the 'Permanent Vacation' album, with support provided by G'n'R who would join Aerosmith on stage to perform a few song. 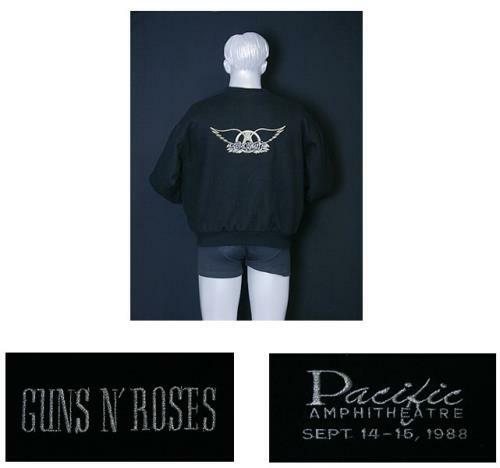 The jacket has embroidered on the right breast 'Pacific Amphitheatre Sept 14-15, 1988' and 'Guns N' Roses' on the left breast both in silver, across the back is a large 'Aerosmith' wings logo embroidered in silver & gold. Although this has been worn it is still in a near mint condition without any damage).